All charges against Jussie Smollett dropped by US prosecutors, who was accused of fabricating a racist and homophobic hate crime, his attorneys said. The Empire actor, who was facing up to 48 years in prison on 16 felony counts of lying to police in the alleged racial and homophobic attack, will no longer be prosecuted. Jussie and his lawyers appeared in court on Tuesday morning for an emergency hearing. 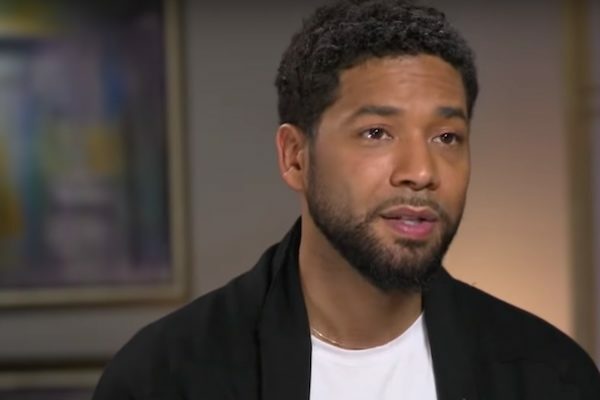 It was agreed that Jussie will surrender his $10,000 bond. But, that’s it. The case is over. According to TMZ, State’s Attorney, Kim Foxx, told Chicago police she was dropping the case because Jussie would have only gotten community service if convicted and she said he has already performed community service so there is no point in prosecuting him. Chicago police are reportedly “furious” about this and feel something untoward is going on with Kim Foxx. Smollett’s lawyers announced the news in a statement where they said he was a ‘vilified’ victim. Today, all criminal charges against Jussie Smollett were dropped and his record has been wiped clean of the filing of this tragic complaint against him. Jussie was attacked by 2 people he was unable to identify on January 29th. He was a victim who was vilified and made to appear as a perpetrator as a result of false and inappropriate remarks made to the public, causing an inappropriate rush to judgment. Jussie and many others were hurt by these unfair and unwarranted actions. This entire situation is a reminder that there should never be an attempt to prove a case in the court of public opinion. That is wrong. It is a reminder that a victim, in this case Jussie, deserves dignity and respect. Dismissal of charges against the victim in this case was the only just result. Jussie is relieved to have this situation behind him and is very much looking forward to getting back to focusing on his family, friends and career. A source close to Jussie says the prosecution’s case “disintegrated”. There were issues with the $3,500 check the 2 brothers received from Jussie. The Police Superintendent had said the money was payment for the fake attack, but it appears it was actually for physical training.